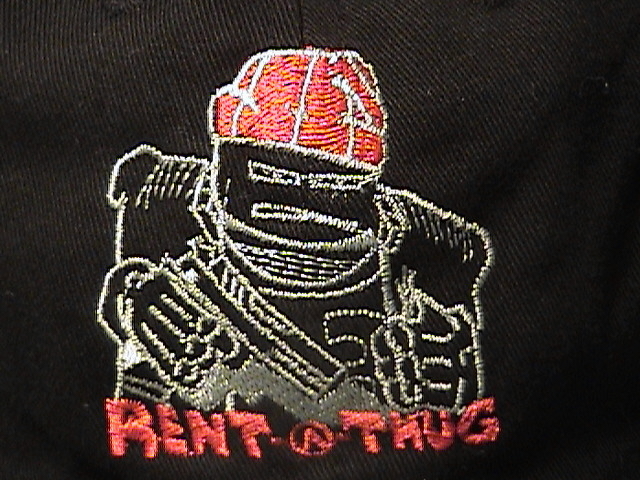 Rent-A-Thug » Archive » Rent-A-Thug hats! 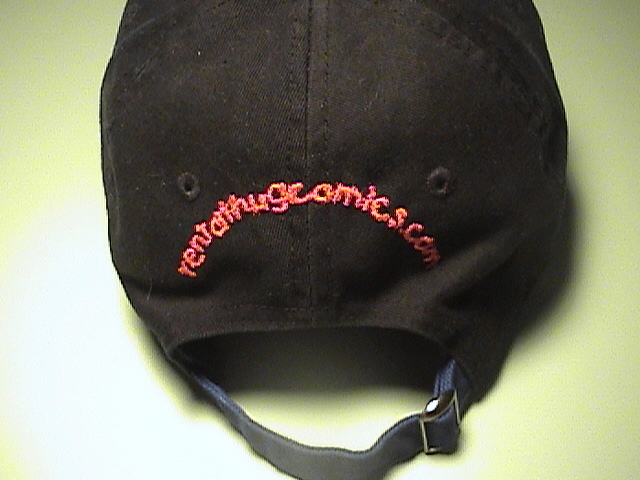 Some of you may recall me mentioning having hats made for sale at Pure Speculation, but I’ve finally got images of them for the site! 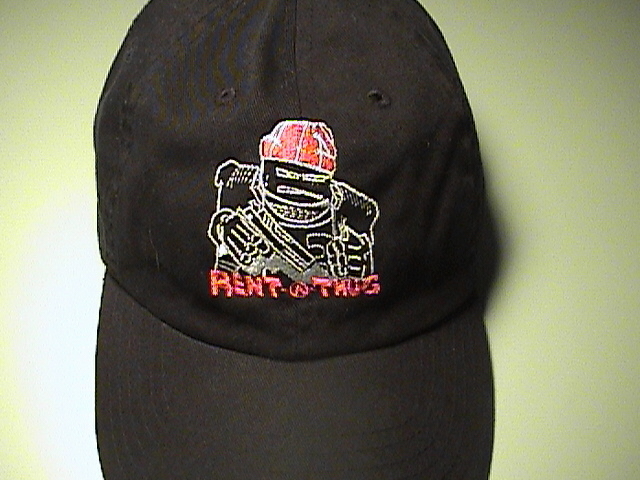 The hats are high quality and will retail for $25-$30 (I haven’t decided on a price point yet). This entry was posted on Thursday, October 4th, 2007 at 3:43 pm and is filed under Blog. You can follow any responses to this entry through the RSS 2.0 feed. You can leave a response, or trackback from your own site. I want one, how can I order?